It’s been a while since I’ve written for my own blog. Life is always busy in my household with three teenage boys and all their activities so I’ve been focusing on more simpler posts such as the First Line Fridays and on writing magazine articles and a monthly blog over at A Slice of Orange. 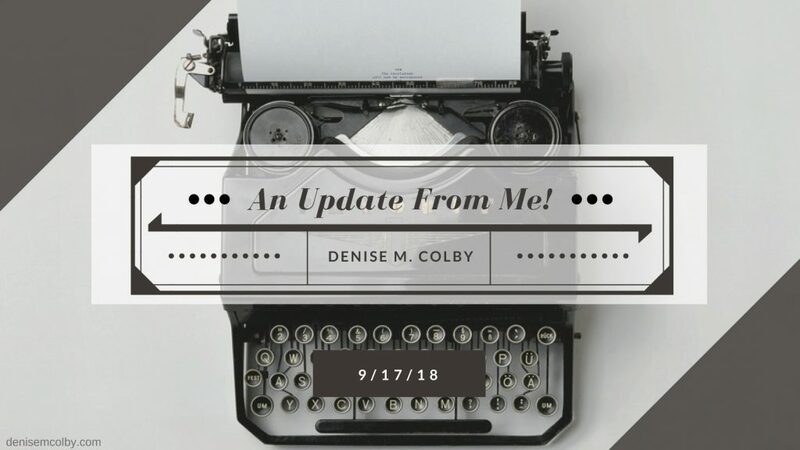 I jumped into the First Line Fridays scene at the beginning of the year and enjoyed sharing and commenting on all sorts of books—some old favorites and some new here on my blog. You can check them all out here or the latest one here. and hopefully a slower schedule with more time to write, but that didn’t happen. I started the summer with a wonderful conference. SoCal Christian Writers Conference was held June 21-23 at Biola University and it was wonderful to learn and be filled with encouragement and writing ideas. I came back with a long list of things I wanted to do to pursue this writing career. And then the week I got back I got a call about my mom not doing well and left to go spend an unknown amount of time with her and my sisters. When my mother passed away in early July, I found it challenging to sit still and write. So even though I met my obligations to others (magazine articles and blog post), I took a break mentally from my own expectations. It was a good move for me to regroup and give myself some grace. And my list from the conference has sat there waiting patiently for me to get back to it. But even during all that time off, ideas kept brewing in my mind. It seems a writers mind never stops working….oh the joys of being a writer. So now, the kids are back in school. We had a beautiful Celebration of Life for my mom over labor day weekend and I’ve gotten a handle on the laundry and the cleaning (for now). So I’m working on my routine again. I’m editing my novel. Still. The main draft is done, but learning about all the layers that go into a novel – plot, grammar, correct point of view, balance between dialogue, narration, and action. That takes time. For me…since it’s in between being a wife, mom and daughter as well as any outside paid jobs…it’s taken a lot of time. But I feel like it’s been worth the time. All the online classes and monthly workshops, I believe it has been good to not rush through the editing process. I have learned much and am excited to put all that learning into practice. I’m excited to be moving forward again. I appreciate all the support everyone has given me. I’ve enjoyed the friendships I have made along this journey. And a journey it is! I look forward to connecting more with you, my dear friends and hopefully have more for you in the near future.